Hey there Saturday Spankos, it's that time again! 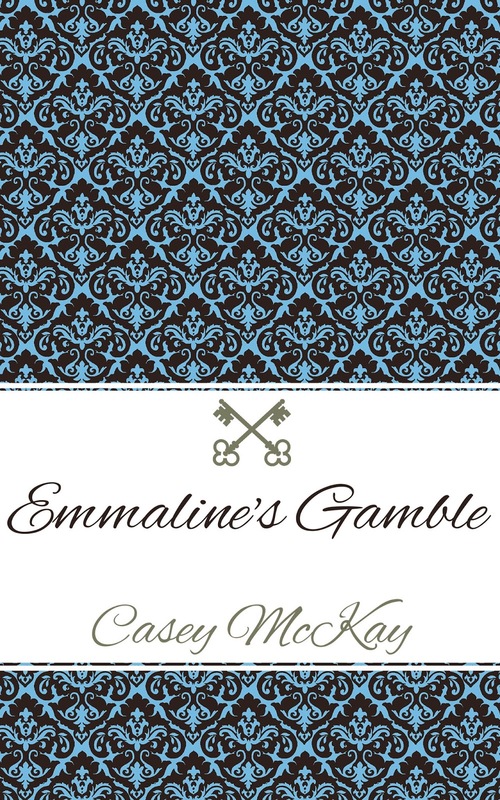 I have a little tid bit from Emmaline's Gamble which is on sale now! Emmaline has messed up and she's convinced herself that Leo deserves someone better. "Take off your clothes." Another dictate uttered with the certainty of immediate obedience. Her hands started working on the buttons of her dress before she had time to second guess his order. "All of them?" She heard her own voice come out in a timid whisper. He gave her an affirmative nod, his eyes fixed on her body as she stripped the clothes away. She dropped her gaze, training her eyes on the rug in front of the bed. She did not want to watch him looking back at her with such love in his eyes. He was clearly a misguided man and another woman would make him much happier. Ah.. we always make mistakes when we begin to think we understand other's emotions and try to make choices for them. I have a feeling he will guide her around her misconception. Sounds like he has his work cut out for him. He's going to show her who's in charge as well as how much he loves her. She thinks so little of herself. Sad.